A new, global survey from Whirlpool Corporation is helping paint a picture of what our future smart homes will look like. Responses from more than 2,000 homeowners and renters in four different regions of the world show what consumers are craving - smart features that are easy to understand and are a practical and efficient addition to their everyday household tasks. 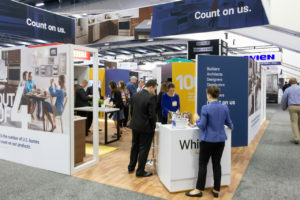 At CES®️ 2019, Whirlpool Corporation will introduce more than 20 new products and services across its brand portfolio that underscore these needs. Findings from the survey, which underscore the need for practical, efficient solutions from the smart home, include a vast majority of consumers (72%) are looking for simpler, faster ways to help manage their lives, and over half admit to feeling that cooking (52%) and doing laundry (58%) take up more than the preferred amount of time. Consumers are also immensely interested in smart appliances that manage water usage and help them save money. 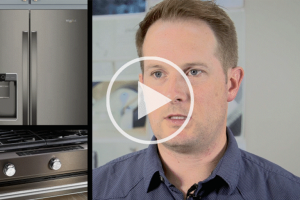 Across its portfolio of brands, Whirlpool Corporation is making significant advancements in digitally transforming how people cook, clean, and do laundry. 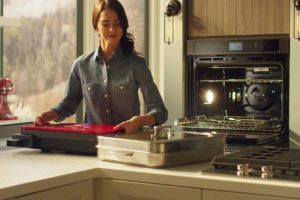 With its Yummly®️ digital recipe platform, and through collaborations with other leaders in the tech space, the company will announce innovations at CES® 2019 that take friction out of every step of the cooking and laundry process, and help consumers save money and reduce waste in the process. Survey results are based on a survey fielded by Research Now on behalf of Whirlpool Corporation of more than 2,000 consumers representing four countries, including the U.S., India, Brazil and France. The survey questioned respondents on their daily routines and preferences when it comes to home appliances. From January 8-11, CES® attendees can get up close to all of Whirlpool Corporation’s innovations at booth #41925 in the Smart Home section, located at the Sands Expo Center.